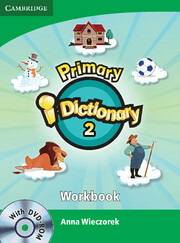 The Primary i-Dictionary Level 2 Workbook and DVD-ROM pack is ideal for general English classes as well as exam preparation. 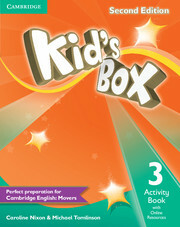 The Workbook contains all the words from the DVD-ROM plus activities. Young learners will enjoy labelling the pictures, then checking with the DVD-ROM, as well as doing crosswords, word searches, gap fills and colouring activities. The DVD-ROM contains pictures and pronunciation for the featured words in British and American English, the dictionary makes learning new vocabulary memorable and fun. The DVD-ROM is for home use. Single and multi-classroom use DVD-ROMs are also available.